I would like to see my child's confidence increase. Will Martial Arts really help? YES!!! At Phoenix Martial Arts Academy, our entire system is based on building self-confidence. From daily successes in class, to earning new stripes and belts, to breaking their first board, to the day they become Black Belt. We will not only help them succeed but we will teach them how to succeed and reach goals. Confidence will soar not only in Martial Arts, but also at home, with friends, and at school. Will Martial Arts cause my child to become more aggressive toward their peers? Children learn discipline and self-control through their practice of Martial Arts. The defensive nature of Martial Arts is continually reinforced in class. One child recently relayed a story of being confronted by a bully at school. The mere mention of his Martial Arts abilities was enough to discourage the aggressor. This is just one example of how Martial Arts can help your child now and for years to come. Will my child learn to defend themselves should they ever have to? Yes, Martial Arts is extremely powerful means of self-defence. In fact, many of our students have won local, regional, and national championships through our training. Others, when forced to defend themselves, in "uncontrolled" situations, have stopped aggressors/bullies from attacking. Are there any other benefits to Martial Arts? More than most realize! We insist that our students succeed outside of our classroom as well as inside. Unless our students do well in school and show respect to their parents, siblings, teachers, and other adults, they will not be allowed to advance in our program. I have more than one child. Can they be in the same class together? Our classes are divided into age groups, 4 yr - 7 yrs, 8 yrs - 13 yrs, and 14 yrs - adult. However, as a parent, our owner understands that scheduling the activities for multiple children can sometimes be difficult. Therefore, siblings and parents may attend class together with our family classes. Please let us know if any special arrangements need to be made. I have always wanted to try Martial Arts, but I don’t know anything about Martial Arts. I must admit that I’m a little nervous about getting started…. There the recent explosion of the UFC and Mixed Martial Arts and the benefits of training in martial arts. Martial Arts has become just as much an adult activity as it is a children’s activity if done correctly. This is why our adult program continues to be our most popular program at the academy. We start every prospective student with a 2 Week Trial Program. During the Trial Program, you will learn the basic stances, movements, and kicks. You’ll also have chance to meet other students who enjoy studying Martial Arts. 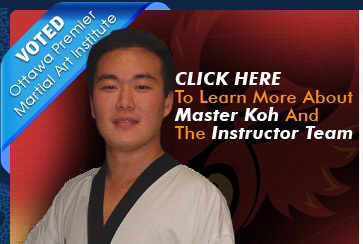 This is your opportunity to see if Martial Arts is right for you. What happens after my 2 Week Trial Program? If you are completely thrilled with your Martial Arts training and would like to continue your training, you will continue training with same group of students you met through your Introductory Program. Do I have to be in great shape to be a student? Not at all. We have students who get started from a wide variety of fitness levels. What kind of person are you likely to find at a Martial Arts Adult Class? You may be surprised to find that classes are made up of adults of all ages and from every conceivable background. We have students who are engineers, teachers, nurses, flight attendant, students, business owners, accountant, police officers, computer analyst, cashier, doctors and so on. Thought you may run into a class full of "tough guys" anxious to prove themselves at your expense? Not a chance at Phoenix Martial Arts. Our classes are made up of people just like you. You may also be surprised to learn that our adult classes are 50% female. What are the benefits of practicing Martial Arts for an adult? Martial Arts is a great work out. You will improve flexibility, tone muscles, and get excellent cardiovascular workout! Do you find yourself getting bored with the traditional exercise program? So are most the students at Phoenix Martial Arts Academy. That’s why they train with Phoenix Martial Arts Academy. They find that learning something interesting while doing their exercise keeps them motivated and provides the best results. © 2010 Phoenix Martial Arts Academy Martial Arts Academy. All rights Reserved.